beautiful satin girls soft booties. 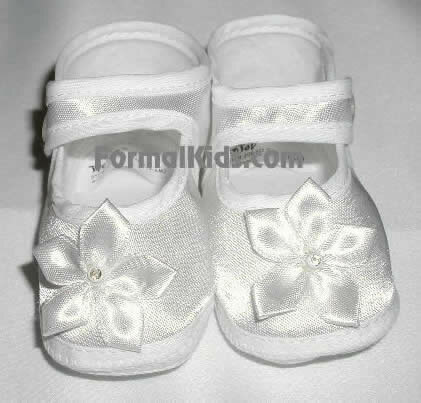 great finishing touch to any formal dress or christening attire. satin bootie with satin flower with small diamond accent at center. available in white or ivory!